After 38 years of research at the Mangosteen Research and Development Center in Thailand, Professor PichaetWiriyachitra disclosed that the beneficial effects of mangosteen are due to the substance is known as GM-1. 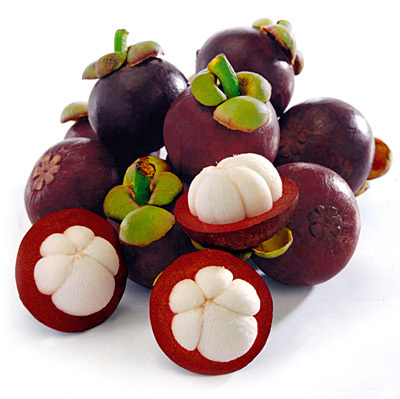 GM-1 the most active xanthone found in mangosteen. Thai Researchers developed anti-cancer formula from the mangosteen fruit. GM-1 has been proven to balance the immune system of the human body, in turn making it stronger against pain, fever, inflammation, diarrhea, infections, ulcers and cancer. Called GM-1, the substance was found to be effective in killing bacteria that were antibiotic-resistant, and three times more effective against inflammation than aspirin. In addition, GM-1 has better antioxidant quality than vitamin E and most importantly, can effectively kill cancer cells in the lab. From this substance, the researchers produced an antiseptic cream that provided better treatment for wounds infected with Streptococci and Staphylococcus bacteria that are resistant to penicillin and methicillin. That was when mangosteen peel, which once created a lot of pollution and waste, became valuable. In the peak of fruit season, mangosteen, like many other fruits, is abundant and thus the price is lower while wasting from peels increases. In 2009, a group of researchers at the Thailand Mangosteen Research and Development Center tried to produce mangosteen juice. It was found that the juice provided an effective solution for people with Unbalanced Immunity. Researchers controlled the level of GM-1 in the juice in order to produce the best effects on health. Mangosteens then became even more interesting among the scientists and researchers. Now, new discoveries relating to the purple skinned fruit, which is known as the “Queen of Thai Fruits”, has stunned the global medical industry. The Thai Mangosteen Research and Development Center, established by Asian Phytoceuticals Public Company Limited (APCO), in co-operation with Chiang Mai University, has conducted further research on GM-1. Prof. Dr. Watchara Kasinrerk, Director at the Biomedical Technology Research Center, Chiang Mai University, conducted research on GM-1 and the immunity and found that, at a controlled level, such a natural extract from mangosteen effectively produces Balanced Immunity (BIM). Depending on the means of extraction, the natural extract produces different results, based on different concentrations of the extract. These differences lead to different effects on cytokines. Cytokines (Greek “cyto-“, cell; and “kinos”, movement) are any of a number of substances that are secreted by specific cells of the immune system which carry signals locally between cells, and thus have an effect on other cells. It is therefore very effective in treating patients with different problems related to Imbalanced Immunity. 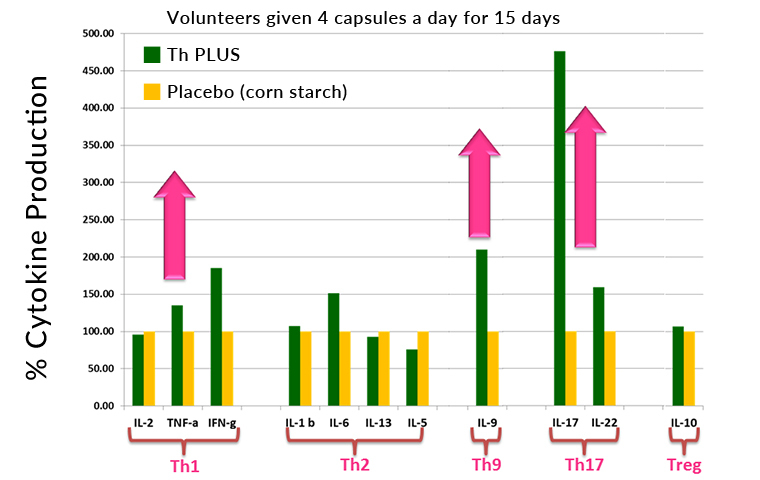 In the experiment, it was found that, in volunteers who consumed 2 grams of capsules for 15 days, the level of Th1 cells doubled while levels of Th17 cells increased by 5 times. Immunologists have known for more than 20 years that Th1 cells, a type of white blood cell, enables the body’s immune system to effectively eliminate foreign cells, such as fungi, bacteria, viruses and cancer cells. Th17 cells were discovered in 2007 and were found to be highly effective in preventing cancer cells from growing and inhibiting cancer symptoms. The discovery that the BIM Capsules can increase the number of the two white blood cells, especially Th17 cells, is a real breakthrough. Asian Phytoceuticals Public Company Limited.